More and more health-conscious consumers are reaching not just for organic food, but for organic wine as well. According to the Organic Trade Association, organic wine sales grew 20.4 percent in 2003, the last year for which figures are available. The group predicted that organic wine sales will grow about 17 percent each year through 2008. As consumers grow increasingly concerned about the impact of commercial farming practices on both the environment and on their personal health, the soaring popularity of organic wine makes sense. 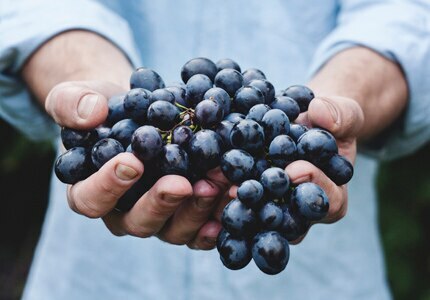 But the question arises: is organic wine actually healthier for you? Frequently, conventional wine grape production involves the use of chemicals such as pesticides, weed killers, fungicides and fertilizers. These compounds can cling to the grape skins and seep into the fruit's pulp. But for those worried that they've been sipping toxins along with their favorite Pinot Noir, there is no reason to panic. Only trace amounts make their way into your wine glass, since the process of fermentation helps break them down. Still, the use of chemicals in farming impacts health indirectly by disrupting ecosystems and communities. The compounds can contaminate groundwater and harm people and wildlife that live near vineyards. Chemical use is also believed to result in weakened vines, lower yields and even less-nutritious fruit. Research suggests that artificial fertilization may accelerate growth by swelling produce with more water, leaving it with a lower concentration of nutrients. Because organic farming methods eschew the use of chemicals, they help maintain healthy soil, promote biodiversity and cultivate more wholesome foods — a recipe for better health for us all. Those who are allergic to sulfites — the preservatives traditionally used to extend wine’s shelf life — will also find an added health benefit in wines designated Organic or 100% Organic. 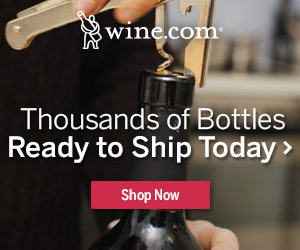 These wines are produced with organically-grown grapes and do not contain any added sulfites. Allergic reactions to sulfites range from headaches and abdominal pain to difficulty breathing. Traces of sulfites naturally occur in all wine, and scientists debate whether there is such a thing as truly "sulfite-free" wine. But many sulfite-sensitive people find they are able to tolerate Organic and 100% Organic wines. These health and environmental benefits are all well and good, but what about the taste? The newest crop of organic wines is noted for their clean, fruity character. They are also said to display a more distinct terroir than their non-organic counterparts. 100% Organic — Contains 100 percent organic ingredients and no added sulfites. Organic — Contains 95 percent organic ingredients and no added sulfites. Made with Organic Ingredients — Contains at least 70 percent organic ingredients; may contain added sulfur dioxide. These wines are certified organic but do not contain the USDA seal.